Ohio state agencies have teamed up to develop procedures for deaf or hearing-impaired Ohioans who qualify for a federal hearing-exemption waiver to train and test for obtaining a Commercial Driver’s License. BMV, OCJS and OOD said on July 6 that they took the proactive step of developing the test procedures, which have been distributed to the hearing-impaired community as well as driver-training schools. Since implementing the new CDL testing process, the agencies have seen “immediate interest from individuals with hearing impairments wanting to learn more about pursuing a CDL.” At last report, over a dozen persons were in various phases of obtaining their waiver, training or testing, with at least two individuals successfully obtaining a CDL and securing employment as a commercial driver. OOD approached BMV to collaborate on the project as an outgrowth of the Governor’s Workforce Integration Task Force. 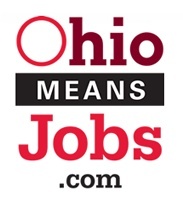 Created by the General Assembly in 2014, WIT was charged with gathering and analyzing data to make recommendations to develop effective strategies aimed at helping Ohioans who are deaf or blind reach their highest employment potential. “We are proud that this partnership has helped set standards and guidelines for CDL testing for the hearing impaired community in Ohio,” added BMV Registrar Don Petit. Calling truck-driving an “in-demand occupation” in the state, the agencies noted that, between April 2014 and May 2016, some 28,000 job openings with a CDL requirement were posted. The CDL testing is available to candidates 18 years and older holding a valid Ohio driver’s license. They must first secure an FMCSA hearing-exemption waiver and then a CDL Temporary Instruction Permit Identification Card. The TPIC is acquired by passing vision and knowledge testing. The CDL testing itself requires passing a three-part skills test within three hours. In addition, BMV and OOD are developing a video with American Sign Language (ASL) that explains the requirements and testing process. The video will be available through both the BMV and OOD websites this fall so that individuals, driving schools and employers, can learn about the testing and licensure process.